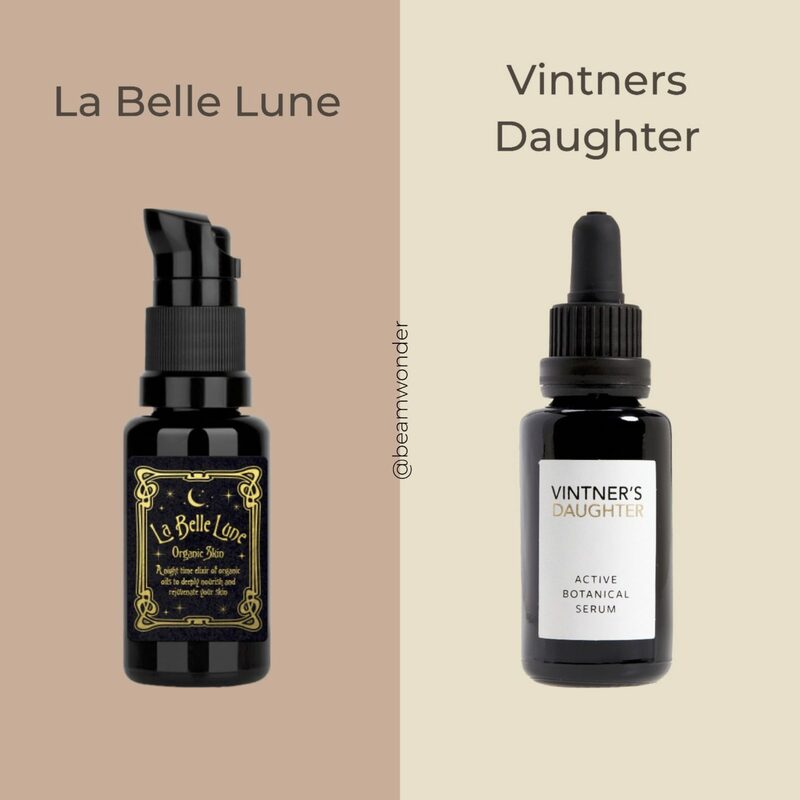 Some of you will know that when visiting the @contentbeauty last year I was super curious about @la_bellelune after seeing it on the shelf together with the uber-luxe @vintnersdaughter . Being the “Curious George” that I am I really wanted to see how they would both compare against each other. 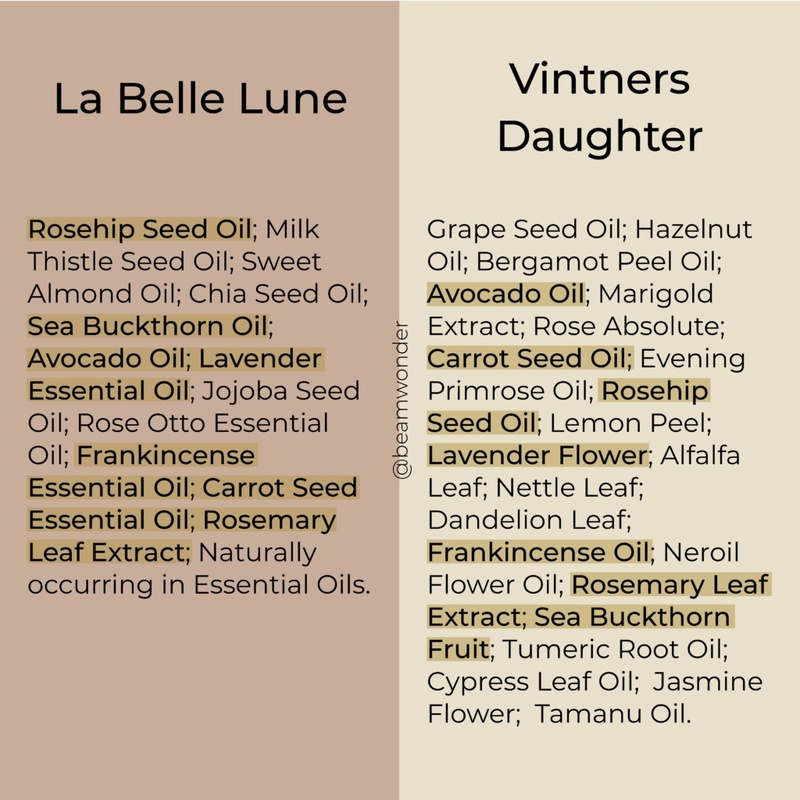 So I did my La Belle Lune vs Vintner’s Daughter experiment a few weeks back for a period of 3 weeks (just a quick note my skin is acne prone and sensitive yet in the case of both of these oils after doing a 2-day patch test neither of them irritated in my skin). (PM) Primarily in the evening after an acid toner/pad (avoiding my super sensitive upper lip). Both of these oil cocktails have been beautifully crafted to get you the right balance of seed oils versus essential oils. They are packed full of your Omegas 3-6-9, vitamins, phytosterols and more. Neither of them made me feel or look greasy, pill or irritate my skin (then again I always do a patch test and avoid sensitive areas altogether around nasolabial folds and upper lips in the case of these). **La Belle Lune gave my skin a lovely softened dewy appearance. It does have a very strong essential oil scent and yet it is not greasy, leaving a nicely moisturized finish with a hint of the sea buckthorn glow. The reasonable price plus solid oil selection (Rosehip, chia seed, sea buckthorn, avocado, etc) makes it seriously great value when sitting next to VD. This also worked surprisingly well after a retinoid routine in the evening and was extremely nourishing, I almost forgot I had run out of my Zelens Vitamin D. For me it works well as a nourishing/ balancing and calming oil. **Vintners Daughters- On the other hand, I found it to work a little better on “clarifying the skin” if you are more towards the break out prone side of the equation (if this makes any sense). 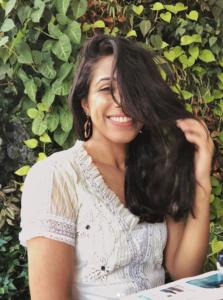 I felt it was more effective at keeping those blemishes at bay and overall the “appearance” of my skin seemed a touch brighter because I have residual acne PIH. 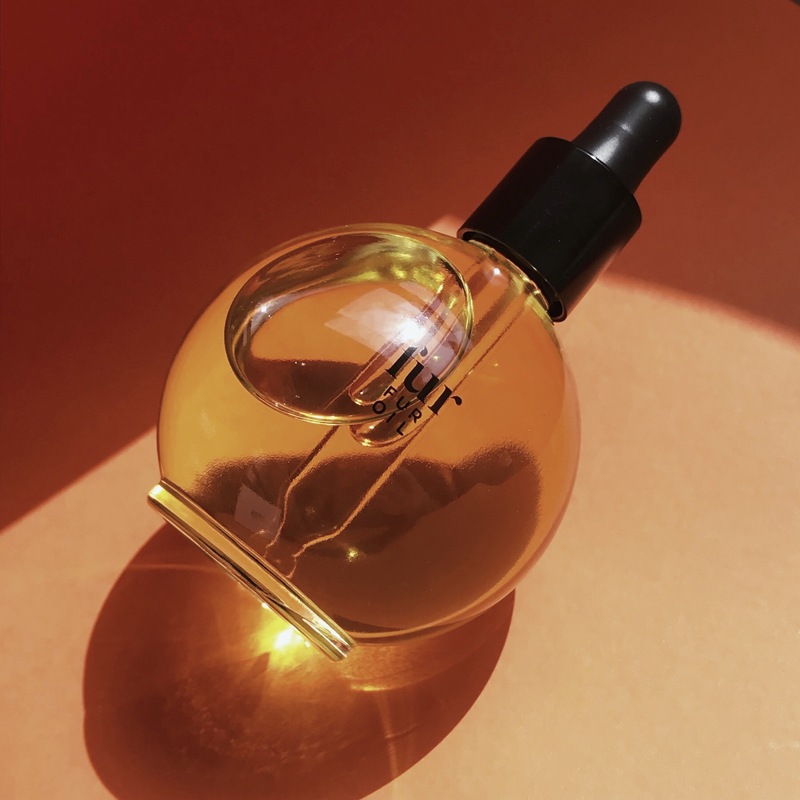 The scent is a lot more herbal almost medicinal and again it will not leave your skin feeling shiny or greasy and absorbs beautifully to leave a nice “highlighter like glow”. It’s hydrating, skin soothing and moisturizing yet surprisingly my skin felt a little irritated when using this after a retinoid so I pretty much used it on its own which might not be ideal if you are skincare addict and have a stash of stuff to use up. I think one of the essential oils which deserves a mention here is Boswellia Sacra (frankincense). It has traditionally been used in the Ayurvedic system for years and slowly, slowly doing the rounds in more western blends. I saw excellent results with this oil and breakouts many years ago but unfortunately, the effects were temporary before my hormonal imbalance just took over again, but definitely a great oil that is seen in many great anti-aging oil blends. 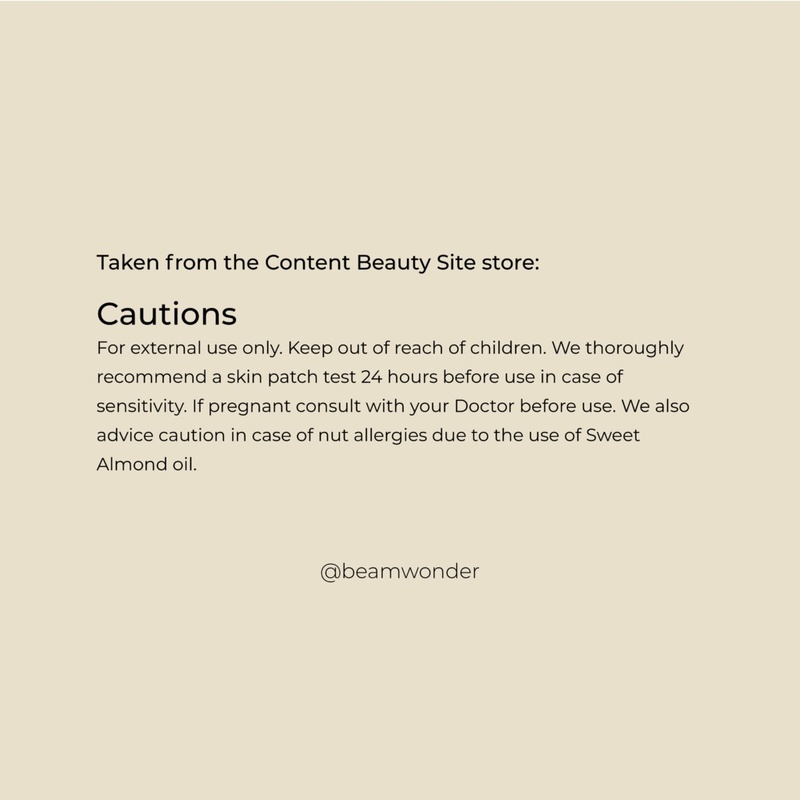 With all my travels the last 10 years I have begun to ease off essential oils in leave on products as my skin became temperamental in tropical climates a problem I didn’t have whilst living in the UK and Japan. Personally, I also haven’t really been reaching out for oil blends as much since I have a few seed oil staples in my routine even though I have few beautiful oils in my stash. Yet at the same time I was totally surprised by La Belle Lune it worked so beautifully on my skin similar to how @maylindstrom Youth Dew works when applied. The VD, on the other hand, worked beautifully well in calming those irregular blemishes and treating post blemishes redness/dark spots but because of the high cost’s it’s definitely an irregular purchase and not a routine staple. Whereas I can see La Belle Lune being a regular routine staple in many routines. 1️⃣ Personally, I think pairing these oils after an exfoliating lotion/pad just really gives your skin the ultimate glow. 2️⃣ Try VD 5ML before hit buys on the 30ml its a good way to see if it works its magic on you. 3️⃣ Check out iherb.com for some great single oil blends so you can work something out yourself if you working on a tight budget. 4️⃣Use them as part of a very minimal routine so you can see if they are actually delivering significant enough results for your skin. If you are layering these across multiple products then, to be honest, it will be hard to see if these alone are doing anything for your skin.